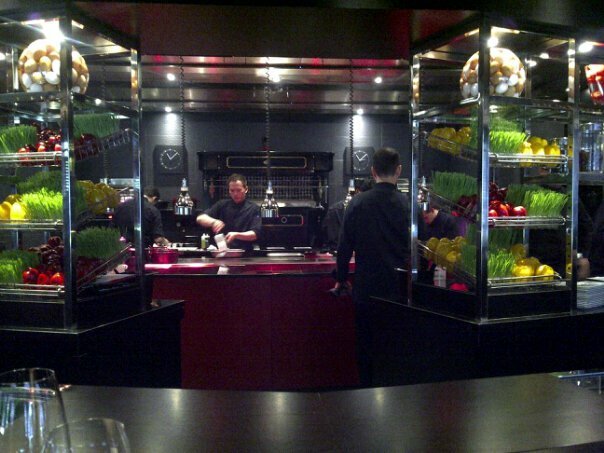 Meanwhile across the entrance, L’Atelier de Joel Robuchon has the usual sleek black and red décor, with a curving bar around the open kitchen. On the menu are a divine Amuse bouche, a full bodied foie gras custard with a very light porto and parmesan foam, along with a crispy langoustine fritter with a kicking basil pesto sauce and of course his famed mashed potatoes (though I wasn’t too keen on the foie gras filled quail it was served with). 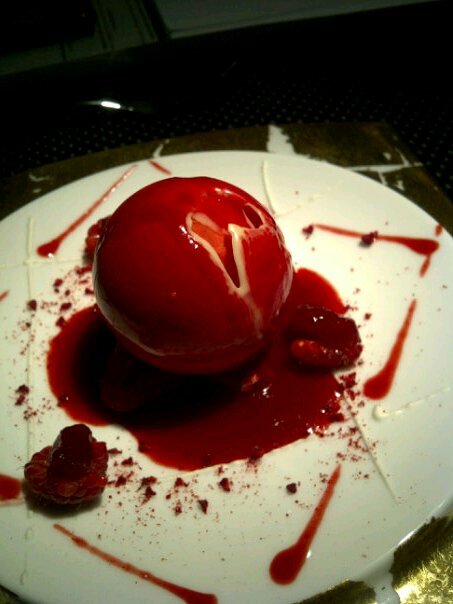 But the restaurant has possibly the best desserts in town… a white chocolate sphere full of strawberry ice-cream which melts when the raspberry couli is poured over it and a passion fruit cream with coconut foam…need I say more?